St. Patrick’s Day is almost here. Time to ditch the green beer and shots and enjoy some Irish whiskey cocktails. I’ve got 2 classics for you to try as well as 2 variations that I think you’ll really love. 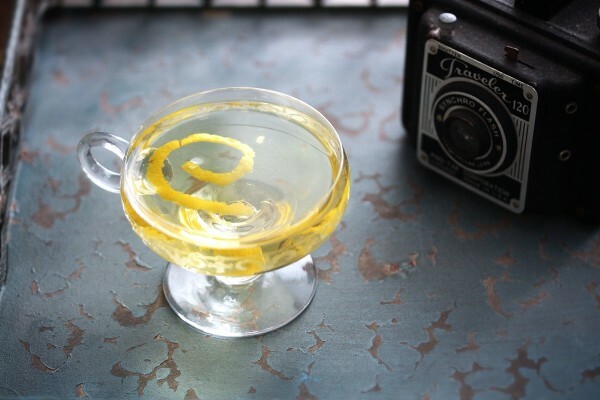 The first is a classic cocktail dating back to the 1920s, appropriately named Irish Cocktail. Combining Irish whiskey with curaçao, absinthe, maraschino and Angostura bitters, this one is a bit similar to the Improved Holland Gin Cocktail. The kicker though is the olive garnish, which gives it a slightly different flavor than you might expect. This odd combination actually tastes really good. 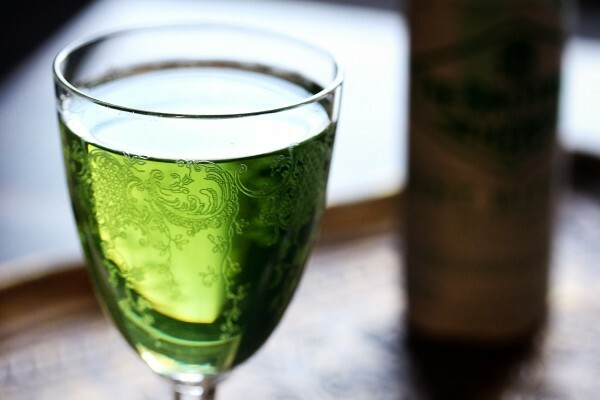 The second classic cocktail comes from Patrick Gavin Duffy’s Official Mixers Manual, and is called the Shamrock Cocktail. 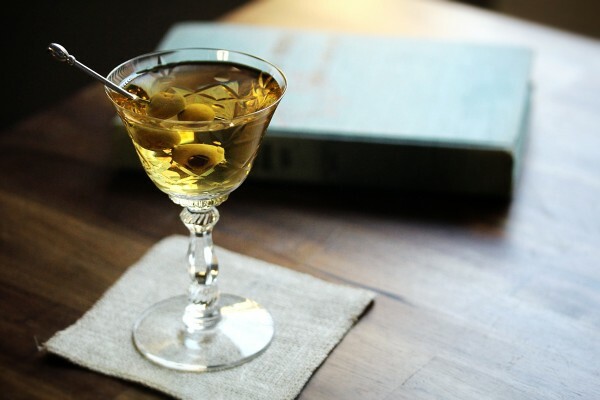 This one features Irish whiskey, Green Chartreuse, creme de menthe and dry vermouth. Funny that this one also calls for an olive garnish. Definitely tasty, some how being a bit reminiscent of a dirty martini. Since both the Irish and Shamrock Cocktails call for an olive garnish, I thought it would be fund to ditch them in favor of saline solution. If you haven’t heard of it, you’re not alone, but it is a trend that has gained a bit of popularity recently. 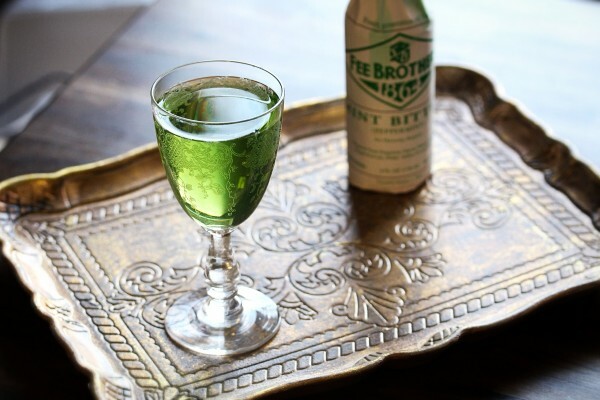 Best used like bitters, a few drops of saline solution will add quite a bit of richness to a drink. Add too much and you’ll turn almost any cocktail into a glass of seawater. I decided to play up the malty aspect of the Irish Cocktail to make a variation called The Dutch Alps. While this one uses genever in place of Irish whiskey, it still makes a great companion to the classic for some St. Patrick’s Day drinking. I also swapped out the absinthe for genepy and the curaçao for Amaro Nonino. You can read more about these in the main recipe. Finally I ditched the olive garnish for some saline solution, which gives this one a nice savory flavor, without making you feel like you just licked a killer whale. As for Shamrock Cocktail, I like what is going on, but wanted to play with the ratios a bit. Like any good Irish drink should be, I made the Improved Shamrock Cocktail strong, with 3oz Irish whiskey and 3/4 ounce Green Chartreuse (feel free to half the recipe if it’s a little too much booze). I cut back on the creme de menthe and added in some mint bitters to give it a deceptively unassuming look. Be careful with this one as it packs quite a punch. Still thirsty? 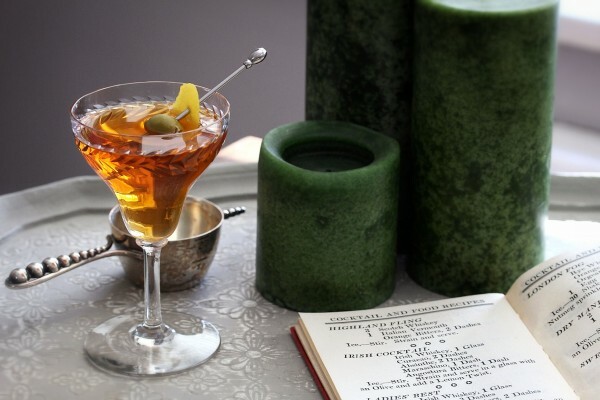 Check out some more Irish whiskey cocktails here. Go here to learn more about Irish Whiskey.